In the 12 years I've raised sheep commercially, I've been fortunate to have very few problems with predators. Normally, I'd say "knock on wood" here; but luck has very little to do with our lack of predator problems. We use an integrated strategy - which I jokingly refer to as "Big Dogs, Hot Fences and Fast Sheep" - to keep predators at bay. Before I describe our system, however, I should stress that our approach won't work everywhere or for everyone. I firmly believe that non-lethal predator protection, much like low stress livestock handling, takes a belief in the system and the will to make it work. If you don't believe it will work, nothing I say or demonstrate is likely to convince you that it will. If you do believe in the system, you'll learn from mistakes and find ways to constantly improve the system (as we do). I should also stress that I think USDA's Wildlife Services agency provides valuable assistance to anyone who must deal with wildlife issues. We've never used Wildlife Services to kill a predator; however, I do talk with our local trapper on a regular basis about where he's seen predators. I've learned a great deal about what to look for in terms of predator signs. And Wildlife Services is conducting valuable research that will expand my non-lethal tool box for coping with predators. Here in Placer County, Wildlife Services spends much of its time dealing with like wild pigs and rogue beavers in urban settings. Unfortunately, these services are ignored when the mainstream media reports on Wildlife Services. Over the last 12 years, we've run as many as 300 ewes with lambs (now, largely due to drought, we have just under 70 sheep total). In that time, we've lost 4 mature ewes to a neighbor's dog, 3 lambs and 1 ram to a coyote, 1 ewe to a mountain lion, and 1 ewe to a rattlesnake. We've also had what we assume was a golden eagle try to take a lamb. Each time we experienced a loss, we made adjustments to our system. And each time, we learned a little bit about the predators around us. For example, coyotes are much better at killing that dogs - dogs are typically playing, and so a sheep killed by a dog is usually more chewed up (and probably suffers far more). A mountain lion, apparently, will bury a kill to save it for later - we never did find the ewe that we assumed was killed by a lion. In addition to the predators we've had experience with, we also have black bears in our environment. We've seen them close to the sheep, but we've never had any problems with them. We know other sheep producers who've experienced losses from ravens and owls (both can prey on new lambs). And now we have wolves in California. I expect at sometime in my lifetime that we'll have wolves in the Sierra Nevada again. 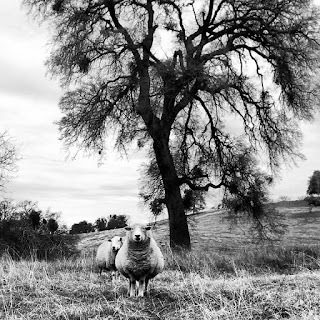 Our overall approach to managing the sheep reduces potential conflicts with predators. We try to mimic the reproductive cycle of wild ungulates in our environment (that is, the deer). We lamb in the spring-time (a bit earlier than the deer, but at a time when the activity of other prey species is increasing). Consequently, there are other things besides lambs for the predators to eat. 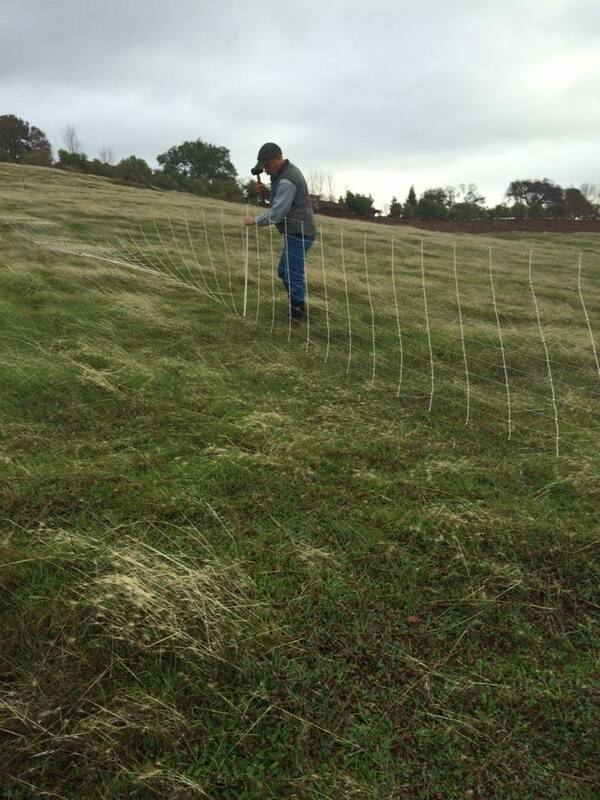 We also use temporary electric fencing and a rotational grazing system. While our grazing management is focused on resting our grass to allow for recovery and regrowth, the fact that the sheep are never in one place for too long seems to help confound the predators! We've also selected for ewes that are exceptional mothers. We want ewes that will give birth without assistance and protect their lambs. We want lambs that are up and going quickly. After 11 lambing seasons of focusing on these traits, we have ewes that take care of their lambs! While a ewe that wants to fight any threat to her lambs is difficult to herd with our border collies, we value their ability to protect their young. And we've invested considerable time in working with our border collies, which pays off during lambing season. Temple Grandin suggests that when we select for docile sheep or cows, we breed some of their maternal instincts out. Our ewes aren't wild, but we do like a ewe that is up in our faces when we're handling her lamb! Virtually none of the properties we graze has permanent fencing, which means we rely on temporary electric fencing. These nets, which come in 164-foot lengths, are easy to move - I can take down and re-set enough fencing to enclose 5 acres in about 2 hours. Combined with a battery-powered fence energizer and a solar-charged deep cycle battery, we can put as much as 8,000 volts through these fences. As you might imagine, these fences deliver a powerful shock. Not only do they keep our sheep contained (most of the time); they also keep the terrestrial predators at bay. The cornerstone of our non-lethal predator protection is our livestock guardian dogs. We've tried llamas (more on this in a moment), but for us, dogs give us the most confidence. These dogs evolved in the sheep-producing regions of the Old World. We've used Great Pyrenees (from the Basque country), Maremma (from Italy), and Akbash (from Turkey). Our current dog (we'll be purchasing another this spring) is an Anatolian (from Turkey) named Reno. Like most dogs in this country, there is a vast difference between dogs that come from a working lineage and dogs that are bred to be pets - we want dogs that come from a line of dogs that has lived with and protected sheep. In many ways, our dogs occupy the niche that a large predator would otherwise occupy in our environment. As the apex predator, they defend their territory from other predators - they just happen to be an apex predator that won't kill sheep (most of the time - more on this also). They are scavengers (especially at lambing time, when there's plenty of tasty afterbirth in the pasture). They mark their territory by patrolling the fenceline and defecating and urinating. While we've never observed them fighting with a predator, we've heard them bark and growl when we hear coyotes. I've also observed them barking at an owl roosting above the sheep during lambing. Dogs are not perfect. The best guardian dogs, in my experience, have not been overly socialized with humans (which means that they usually won't come to me when I call them - frustrating when they get out of our fences). We've had dogs that had bonded with people instead of (or in addition to) livestock - and they decided that they'd rather be with people. Even our electric fences can't contain a dog who is determined to be with people instead of sheep. Sometimes a young dog will decide that the sheep (lambs especially) would be fun to play with. Rough play between two dogs isn't a problem; rough play between a dog and a 30-pound lamb can get out of hand. Some dogs will stay with the sheep when we move the flock from pasture to pasture; others can't be trusted and need to be walked on a leash. We try to fit the dog to the overall environment. In our operation, we're often grazing in areas where people are hiking, walking their own dogs, or riding horses. We need a dog that doesn't stress over these things, that doesn't decide it would rather be with the people on the outside of the fence, but that takes its job as a flock protector seriously. To me, this is my biggest concern about wolves. I think we can figure out how to protect our sheep from wolves, but it may take more - and more aggressive - dogs. 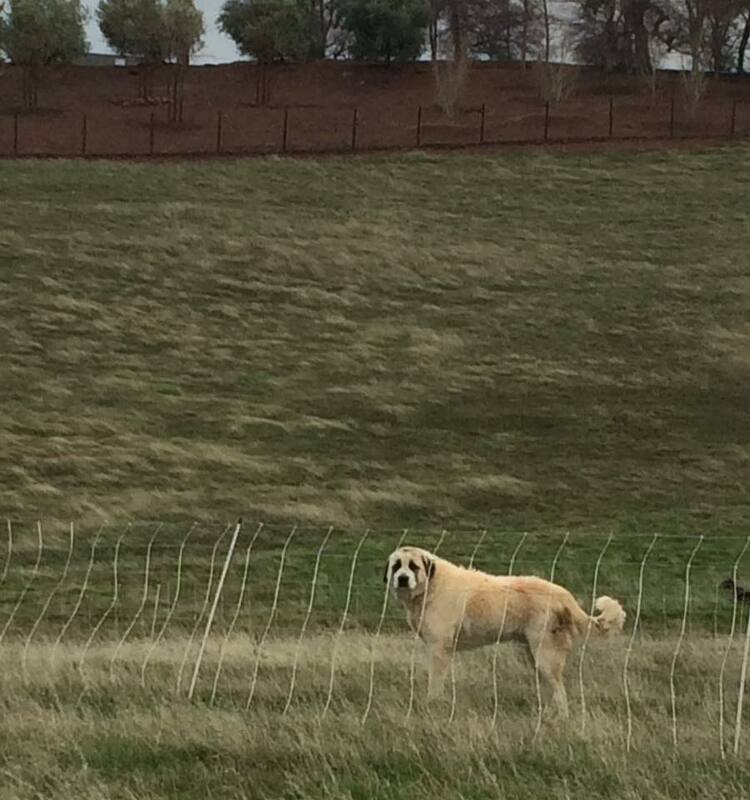 I'm not sure these more aggressive dogs will be welcome in the "neighborhoods" where we currently graze our sheep. As I mentioned, we have used llamas in areas where the predators were most likely to be coyotes and dogs, and where neighbors are likely to object to barking dogs. In past years, this seemed to work fine; in the last 12 months, we lost a ram and 3 feeder lambs to coyotes in pastures that were "protected" by llamas. 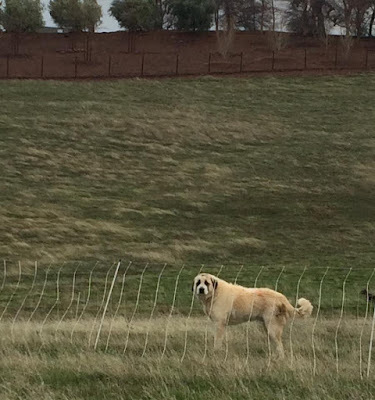 I do have a friend nearby who has observed her pair of llamas chasing off a neighbor dog. If we try llamas again, we'll definitely use more than one. Despite our success in using this approach, I will admit that I would probably use lethal force if I came upon a predator in the midst of an attack on our sheep. In reality, this would probably only happen at home; I rarely if ever carry a weapon with me when I'm checking the sheep. If I suffered repeated losses to predators, I would definitely call on Wildlife Services for help. Perhaps the most difficult part about dealing with predators is the human aspect. I recently read an article about wolves and livestock that quoted Jim Magagna, executive vice president of the Wyoming Stock Growers Association. He said, "We've learned to live with wolves; what we haven't learned to live with is the never-ending process." I agree - the human conflicts over natural resource management are more difficult than actually making a difference on the ground. I get frustrated when other ranchers tell me they try to kill every predator they see (regardless of whether it's causing problems). I get even more frustrated when well-meaning people who have never found a half-eaten lamb or a ewe with her throat torn out - who have never been responsible for the well-being of livestock - try to tell me how well non-lethal predator control works. Part of why I love what I do is that I get to be out in the natural world nearly everyday. Rangeland livestock production is a partnership with nature. I get a thrill when I see wildlife - even when I see large predators. This thrill, however, is tempered by the knowledge that they are a threat to the animals in my care. Because I believe in the techniques that we use to protect our sheep, I'm predisposed to finding ways to improve on this system when it breaks down. I would welcome further conversation on this topic! I read every word of your post and though I have nothing personally to do with sheep, it never bores me. On the contrary, I simply love to look at sheep and admire shepherding. Thank you for teaching us your skills and trade. What a delightful insight into sheep life.